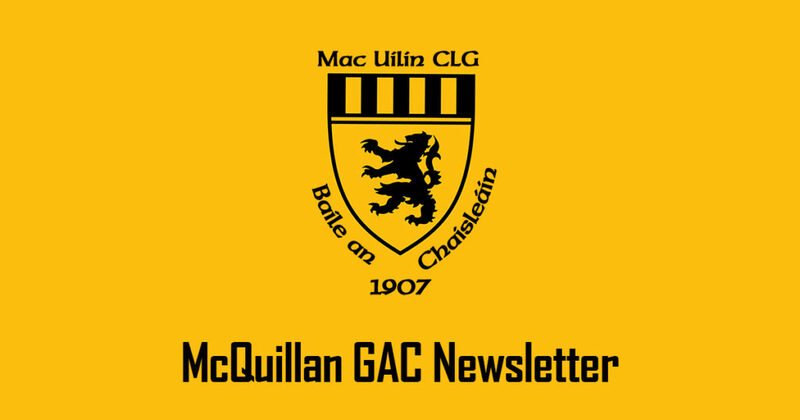 McQuillan GAC Ballycastle launches weekly newsletter. This will be used to keep members up to date on the latest club news, upcoming fixtures, fixture changes, results, club events, lotto results, breaking news and more. The weekly newsletter will be emailed directly to our club members’ inbox. If you wish to receive these updates please subscribe below.